1. Mikuls TR, MacLean CH, Olivieri J, et al. Quality of care indicators for gout management. 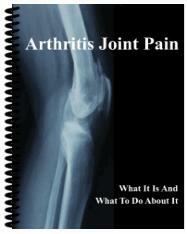 Arthritis Rheum 2004;50:937-943. 2. Rott KT, Agudelo CA. Gout. JAMA 2003;289:2857-2860. 3. Arromdee E, Michet CJ, Crowson CS, et al. Epidemiology of gout: Is the incidence rising? J Rheumatol 2002;29:2403-2406. 4. Cassetta M, Gorevic PD. Crystal arthritis: Gout and pseudogout in the geriatric patient. Geriatrics 2004;59:25-31. 5. Agudelo CA, Wise CM. Crystal-associated arthritis. Clin Geriatr Med 1998;14:495-513. Johnson RJ, Kang DH, Feig D, et al. Is there a pathogenetic role for uric acid in hypertension and cardiovascular and renal disease? Hypertension 2003;41:1183-1190. Cardona F, Tinahones FJ, Collantes E, et al. Contribution of polymorphisms in the apolipoprotein AI-CIII-AIV cluster to hyperlipidaemia in patients with gout. Ann Rheum Dis 2005;64:85-88. Shekarriz B, Stoller ML. Uric acid nephrolithiasis: Current concepts and controversies. J Urol 2002;168(4 Pt 1):1307-1314. Terkeltaub RA. Gout. N Engl J Med 2003;349:1647-1655. Schumacher Jr HR. Crystal induced arthritis: An overview. Am J Med 1996;100 (Suppl 2A):46-52. Zhang W, Doherty M, Bardin T, et al. EULAR evidence based recommendations for gout. Part II: Management. Report of a task force of the EULAR Standing Committee for International Clinical Studies Including Therapeutics (ESCISIT). Ann Rheum Dis 2006;65:1312-1324. Schlesinger N, Baker DK, Beutler AM, et al. Local ice therapy during bouts of acute gouty arthritis. J Rheumatol 2002;29:331-334. Schlesinger N. Management of acute and chronic gouty arthritis. Drugs 2004;64:2399-2416. Conaghan PG, Day RO. Risks and benefits of drugs used in the management and prevention of gout. Drug Saf 1994;11:252-258. Smallwood JI, Malawista SE. Colchicine, crystals, and neutrophils tyrosine phosphorylation. J Clin Invest 1993;92:1602-1603. Wallace SL, Singer JZ, Duncan GJ, et al. Renal function predicts colchicine toxicity: Guidelines for the prophylactic use of colchicine in gout. J Rheumatol 1991;18:264-269. Dixon AJ, Wall GC. Probable colchicine-induced neutropenia not related to intentional overdose. Ann Pharmacother 2001;35:192-195. Bonnel RA, Villalba ML, Karwoski CB, Beitz J. Deaths associated with inappropriate intravenous colchicine administration. J Emerg Med 2002;22:385-387. Kim KY, Ralph Schumacher H, et al. A literature review of the epidemiology and treatment of acute gout. Clin Ther 2003;25:1593-1617. Janssens HJ, Janssen M, van de Lisdonk EH, et al. Use of oral prednisolone or naproxen for the treatment of gout arthritis: A double-blind, randomised equivalence trial. Lancet 2008;371:1854-1860. Siegel LB, Alloway JA, Nashel DJ. Comparison of adrenocorticotropic hormone and triamcinolone acetonide in the treatment of acute gouty arthritis. J Rheumatol 1994;21:1325-1327.
de Klerk E, van der Heijde D, Landewe R, et al. Patient compliance in rheumatoid arthritis, polymyalgia rheumatica, and gout. J Rheumatol 2003;30:44-54. Pal B, Foxall M, Dysart T, et al. How is gout managed in primary care? A review of current practice and proposed guidelines. Clin Rheumatol 2000;19:21-25. Vazquez-Mellado J, Morales EM, Pacheco-Tena C, Burgos-Vargas R. Relation between adverse events associated with allopurinol and renal function in patients with gout. Ann Rheum Dis 2001;60:981-983. Khoo BP, Leow YH. A review of inpatients with adverse drug reactions to allop-urinol. Singapore Med J 2000;41:156-160. Arellano F, Sacristan JA. Allopurinol hypersensitivity syndrome: A review. Ann Pharmacother 1993;27:337-343. Bardin T. Current Management of gout in patients unresponsive or allergic to al-lopurinol. Joint Bone Spine 2004;71:481-485. Fam AG, Dunne SM, Iazzetta J, Paton TW. Efficacy and safety of desensitization to allopurinol following cutaneous reactions. Arthritis Rheum 2001;44:231-238. Becker MA, Schumacher HR Jr., Wortmann RL, et al. Febuxostat compared with allopurinol in patients with hyperuricemia and gout. N Engl J Med 2005;353:2450-2461. Takahashi S, Moriwaki Y, Yamamoto T, et al. Effects of combination treatment using anti-hyperuricaemic agents with fenofibrate and/or losartan on uric acid metabolism. Ann Rheum Dis 2003;62: 572-575. Tiu RV, Mountantonakis SE, Dunbar AJ, Schreiber MJ Jr. Tumor lysis syndrome. Semin Thromb Hemost 2007;33:397-407. Coiffier B, Altman A, Pui CH, et al. Guidelines for the management of pediatric and adult tumor lysis syndrome: An evidence-based review. J Clin Oncol 2008;26:2767-2778. Holdsworth MT, Nguyen P. Role of i.v. allopurinol and rasburicase in tumor lysis syndrome. Am J Health Syst Pharm 2003;60:2213-2222. 34. Cammalleri L, Malaguarnera M. Rasburicase represents a new tool for hyperuricemia in tumor lysis syndrome and in gout. Int J Med Sci 2007;4:83-93.